Let’s celebrate the advent of our brand-new challenge by focusing on the word “celebrate.” Incorporate the stamped or die-cut word into your birthday card design and leave no question as to the mood of your greeting! Melania used the Celebrate Speech Bubble Die-namics to send her bold birthday wishes. The large size of the die makes it quick and easy to add a sentiment in a fun and unique way. She added a rainbow of color to the greeting and completed her card with a sweet raccoon image holding a balloon. 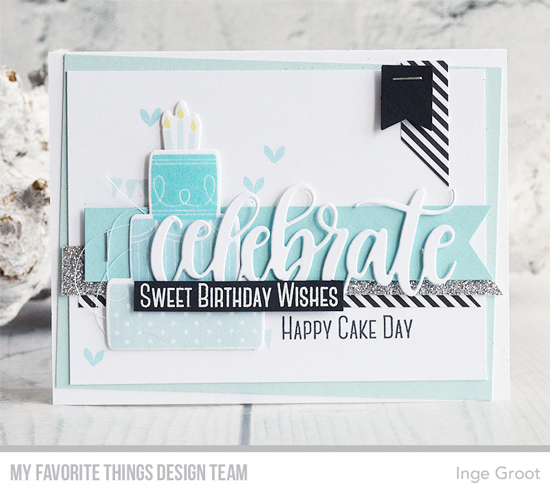 Inge combined an assortment of layered panels on her card front with her sentiment taking center stage. She kept her color palette limited to aqua, white and black so the layers wouldn't compete with one another and overwhelm her birthday greeting. Congratulations, Lori Tecler! You are the randomly selected winner of last month’s Creative Construction with Blueprints challenge. 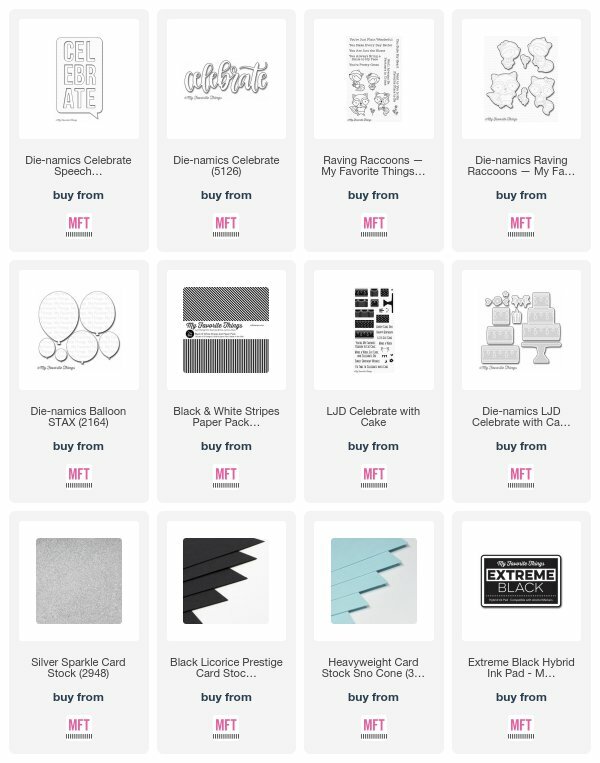 You can view all the entries for last month’s Blueprints challenge HERE. Now, it's your turn. 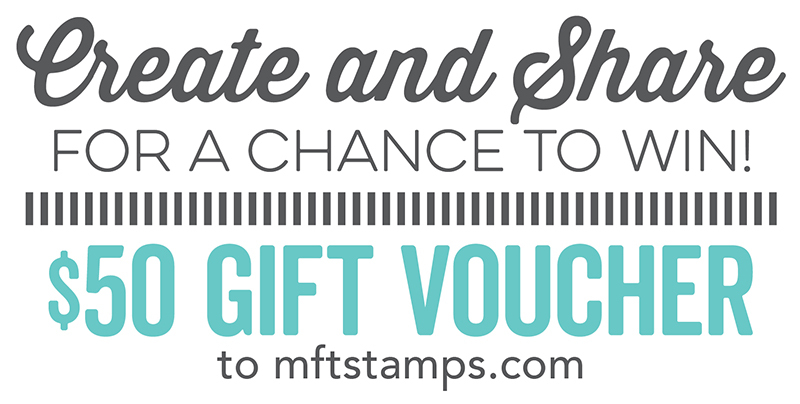 You have until Wednesday, February 14th, at noon EST to add your link and be eligible for the prize of $50 in MFT Cash to be spent in the MFT boutique. Winners are chosen at random, so everyone has a chance!